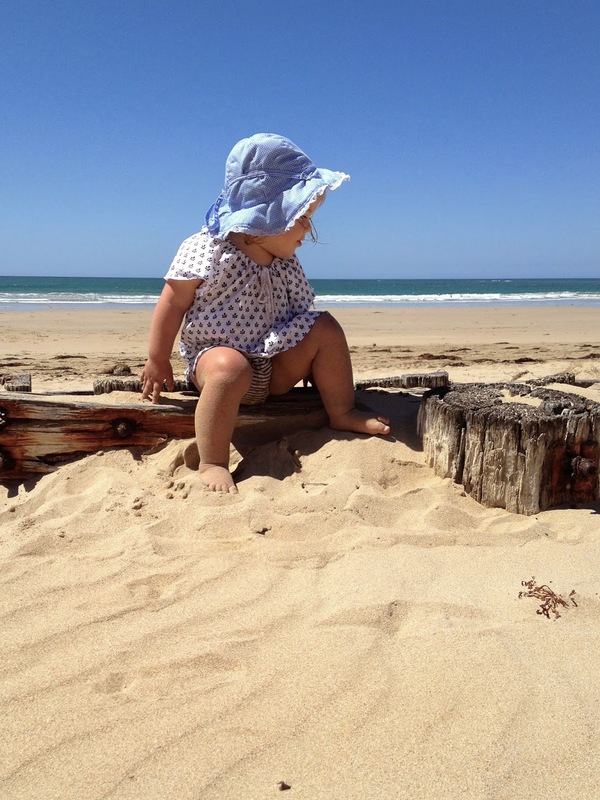 a portrait of my daughter, once a week, every week in 2015..
olive: forever covered in sand, and way too keen to be in deep water..
Just after I took this shot, our little thrill seeker here, who loves to be in the water and wants to run right in with no concept of danger and no sense of fear, lost her balance ankle deep on the shore line and was splashed right in the face by a big strong wave. She wouldn't leave my hip after that. Perhaps just the fright she needed..
joining jodi's 52 project here..